A lot can be said for pacing music of great intensity more slowly or for framing it dramatically. The Emerson Quartet had tried the approach of playing a Shostakovich quartet in a theatrical context at the turn of this century with its Noise of Time, based on Quartet No. 15. Many years later, Julian Barnes’s fictionalized biography of the composer revived the title of that show (seemingly without credit), and now the Quartet and director James Glossman have come back with a theatrical treatment of the Quartet No. 14. This being Ozawa Hall, we listeners, only mildly distracted by the garish poster of Stalin over the stage, were prepared to start with the music. The Emerson Quartet played the charming and lighthearted beginning of the quartet in a sympathetic manner, though it lacked vigor. Theatrical fragments then recalled the composer’s suffering under Stalinist oppression, intermixing a disjointed, looping retelling with reading of Anton Chekhov’s famous story Black Monk. An ominous video title and exclamations of “Black Monk!” in the beginning did little to advance that story, rather it used the malicious-sounding title to introduce Mr. Malice himself, the talkative and vivacious figure of Stalin. Obligatory reminders followed: of the infamous attacks on Shostakovich, of Stalin’s taking upon himself to teach the musician what music to write; of the composer’s fear of arrest, and of his painful coexistence in later years with the Soviet establishment. The Chekhov story kept getting beaten back by menacing presence of the dictator, this time implausibly identified with the rather benign fatherly figure Pesotsky from the story. The parallel systems confused us, especially when getting to the encounters with the actual Black Monk, who turned out to be a rather jovial and supportive personality—the very opposite of Stalin. Additional vignettes from the composer’s life intertwined with fragments of his music, including string quartets opus 108 and 144 and Polka from The Golden Age ballet’. Story lines continued, yet refused to converge. Then in the end, as both the protagonist of the story and the composer turn ill and die, the parallel brought us to the finale of the Quartet. No peace came even there: bickering between dictator and composer continued, with Chekhov’s story caught in the crossfire, the music fighting its way through. This competition hardly enhanced the wonderful concluding movement, and as the Emersons brought it to the beautiful last few bars, they shared something of the cathartic beauty of DSCH 14. The creators of the evening deserve credit for their research into Shostakovich’s relationship with Chekhov’s story, reflected in the informative program notes, and for their spirit of experimentation. They also must have expanded the understanding of Shostakovich’s life and his late quartets among those in the audience who needed such. We could stop here had this show been prepared and billed for fifth-graders. But this experiment, raised many unanswered questions. For one, Chekhov’s tale has always been puzzling. To use it as fodder for themes of oppression and resulting angst hardly seemed fair. 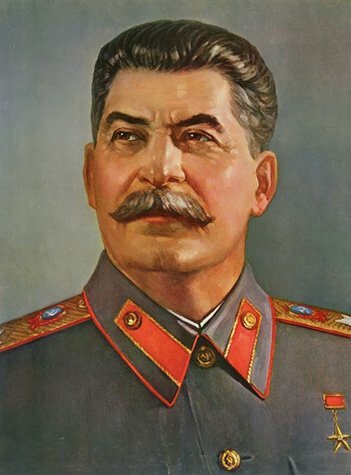 Stalin’s a tremendous amount of stage time resulted in the frustrating impression that everything in the composer’s oeuvre is about Stalin—in fact, the performers could have just switched to screaming his name at one another, the way it happened in that memorable scene from Being John Malkovich, and not much subtlety would have been lost. Forty years ago, a risk-taking play showing the menacing Stalin against the backdrop of DSCH music would have been welcome. Times have changed. The Shostakovich wars are over and the good guys won. Now we need something deeper. Shostakovich was already a superstar in 1973, albeit a very ill one. We know both from Volkov’s Testimony and from Isaak Glikman’s Story of a Friendship, which consists mostly of the composer’s letters to Glikman, about his interest in Chekhov’s story and his recurring desire to turn it into an opera. The episode was tantalizing: the potential of a cryptic and bizarre story by a great author multiplied by the creative spirit that already brought to us two great operas based on Russian classics (counting just the complete ones) seemed ripe with potential. Unfortunately, the glimpse we got was limited: the very episode came to us not in a letter, but as retold conversation, that much appreciated and much maligned source of our understanding of Shostakovich. There was no shortage of veracity; if anything, one could wish that the raconteurs in this case had embellished the recollections a little more. All we learned was that Shostakovich was into the story, considered an opera, described it as very hard to write, found and orchestrated the Braga Serenade, and wrote the Quartet No. 14 at roughly that time. What did this genius have in mind about dark and unforgiving sources of creativity, about the power of a banal melody, and about Chekhov? Though these questions must have been familiar to the creative team, they chose to cop out and let the dictator dominate the show with all the subtlety of a ton of steel bars. The staging could be described as a concert performance of a play. Most actors most of the time read their lines from their folders. This overlapped with efforts at serious acting, and the combination was occasionally awkward. Some of that acting unfortunately added lost-in-translation faux pas. An ambiguous moment in the story, depicting central character Kovrin at the moment of realizing that his childhood girl playmate has grown up, unfolded centerstage, as an amorous interruption or interlude in the bleak narrative. The problem is that the Russian word describing Kovrin’s feelings was translated as “touch”, which in English, as in Russian, can evoke rubbing against, not only compassion. The opacity approached comedy. The huffing and puffing of Stalin provided plenty of comic relief to some. Who knows—maybe even the circus-loving composer would have approved, if caught at a good moment. Whether Stalin’s ghost was still menacing the composer and blocking his work on his last opera was hardly evident. To this day, Stalin apparently remains perfectly capable of ruining a performance of a terrific string quartet.